Summer Semi Sale Now in Progress! Our summer semi sale has been in progress just under a week now and there are still great deals to be had on fabulous shoes! Twice a year I get excited about shopping for shoes when I see shelves full of great bargains on shoes I have been loving all season. 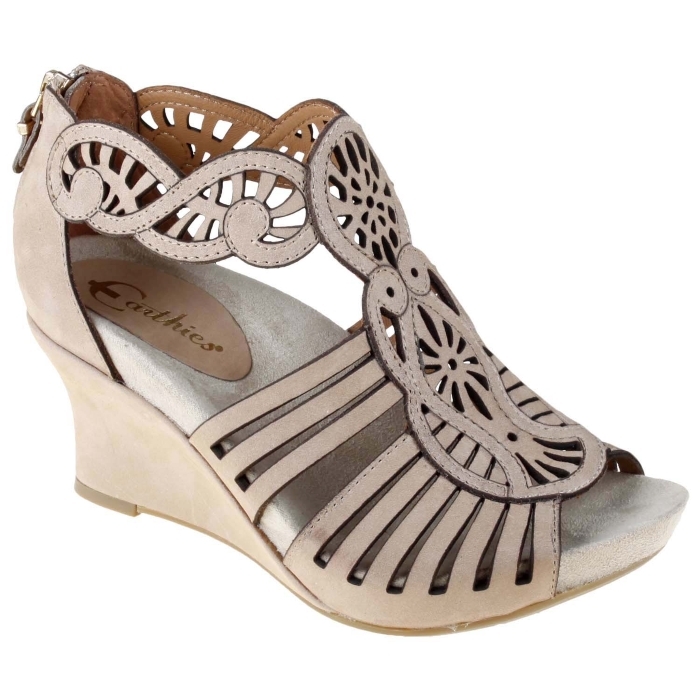 I have a pair of the Earthie Caradonna wedges and love them! I can dress up a pair of jeans in no time with the Caradonnas. My 20 year old daughter borrowed them and I haven’t seen them since! Probably my go to brand here at the store is Taos, these are incredibly comfortable shoes with construction details that set them apart from others. 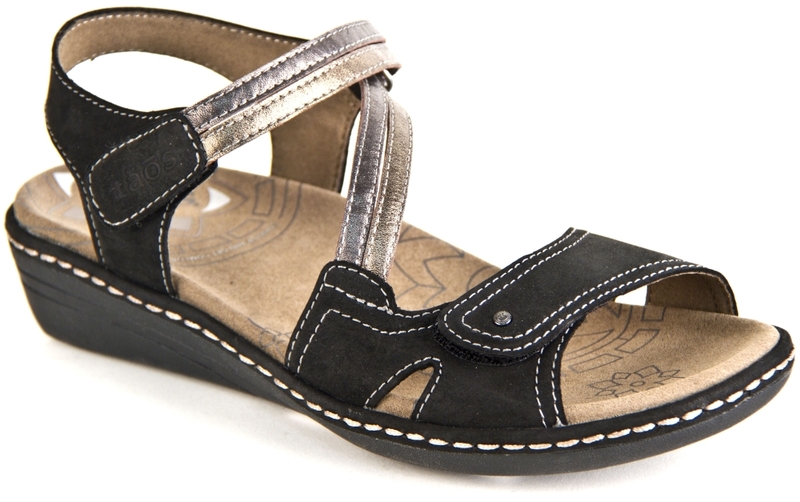 I wore my Taos Treasure sandals recently on vaction. We walked miles and my feet didn’t complain! We endured a torrential downpour where my sandals were soaked and the next day looked fabulous! 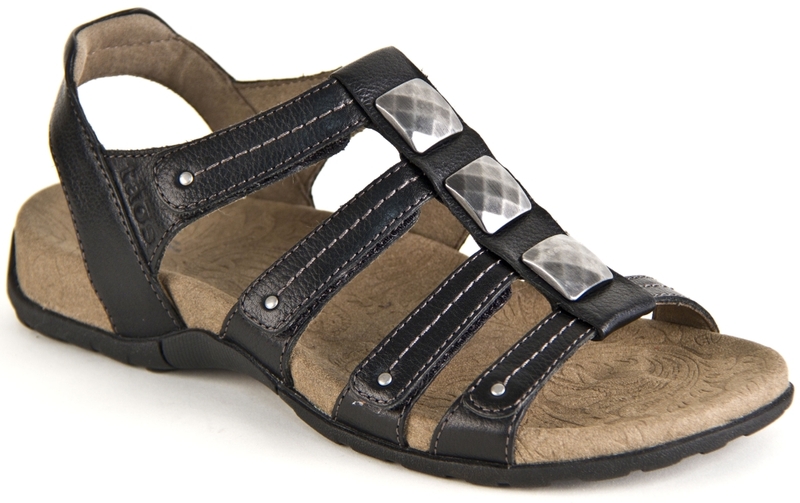 Wear these with shorts, jeans, capris and skirts. 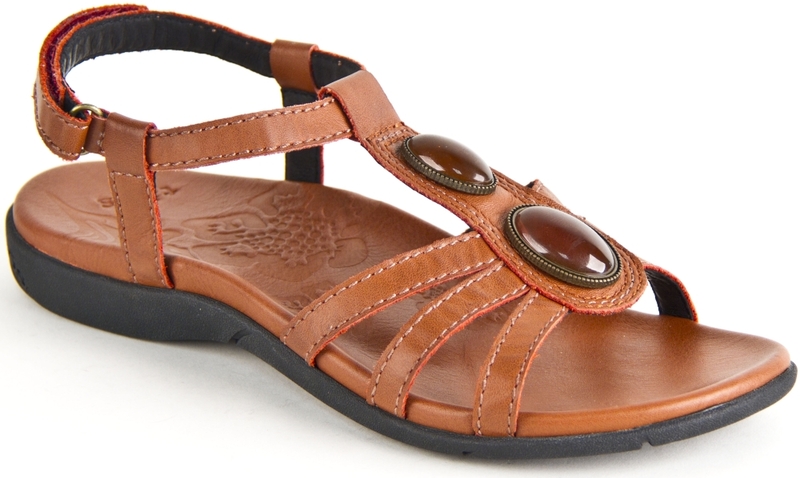 It’s the perfect summer sandal for travel! 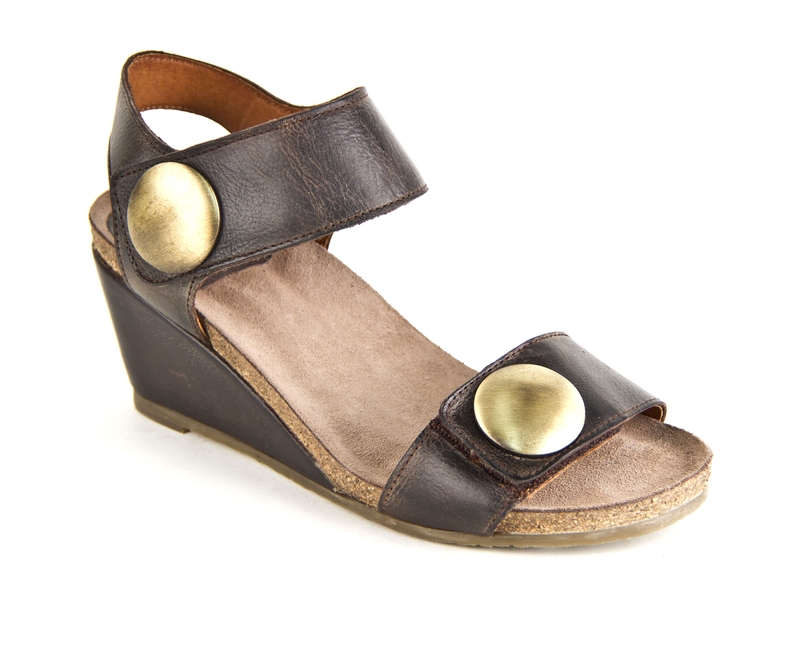 So many more Taos shoes on sale right now! Stop in and look over all the shelves full of shoes! Try on a pair or two and treat yourself to some new shoes! Next Yahoo! Rodeo in Style!